We've been treated to a real musical extravaganza this afternoon, all thanks to our new music teacher Mrs Hart and a group of Year 5s. 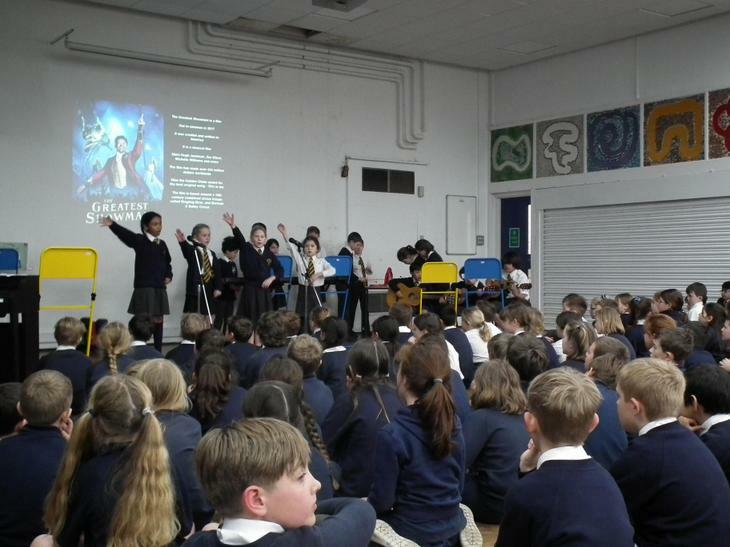 When Mrs Hart started, she was greeted almost immediately by our ever-enthusiastic Year 5 students with plans for an all-singing, lots-of-dancing assembly to be written and performed by them. 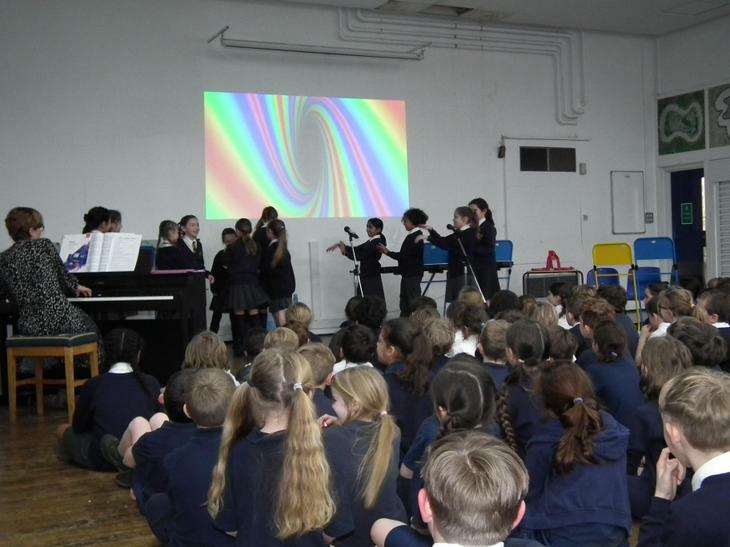 Add in the whole of Year 4 to show off their learning this term, and we were all set for half an hour of fantastic music-making, full of great playing, singing, dancing and tons of taking part. 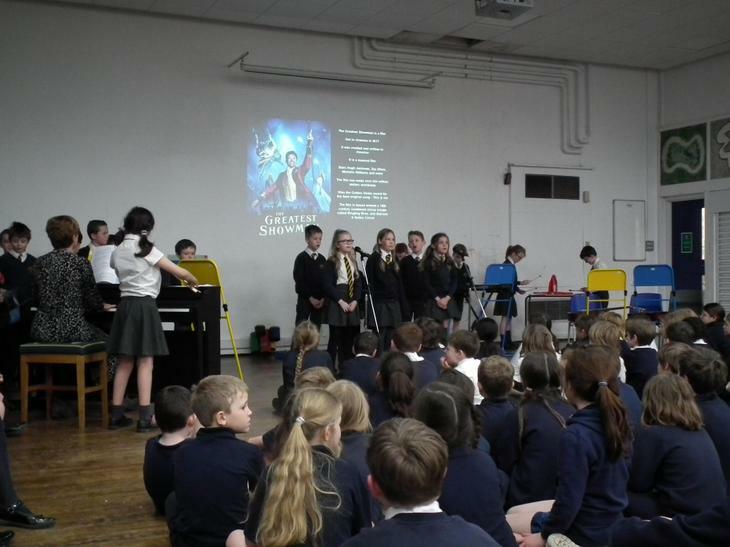 Year 5 put together some amazing individual and group performances on piano, violin and flute, before Year 4 took the stage to perform 'This is Me' from The Greatest Showman. 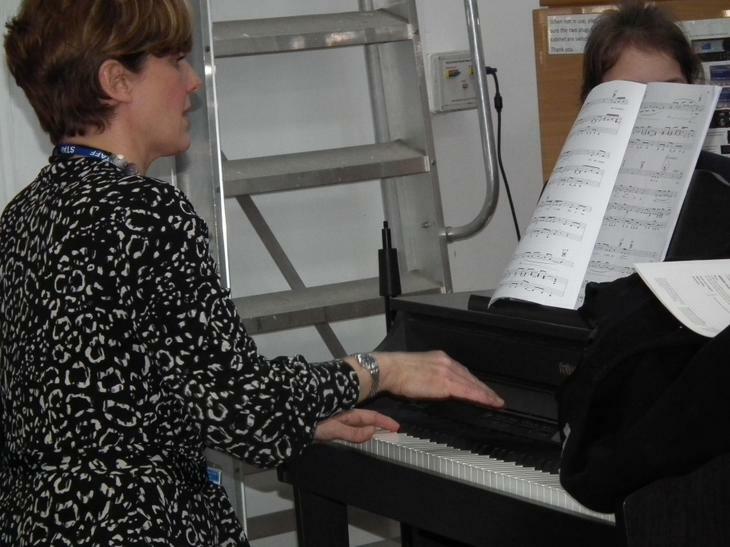 Everyone took part, using keyboards, voices and even water bottles to create a huge sound in the hall. Thank you to Mrs Hart for co-ordinating our budding impressarios, and to all the children who performed in front of a packed audience of LDSM children, parents and friends. We're looking forward to the next one already!